Judy Gelman, a public relations consultant, and co-author Vicki Levy Krupp, a former high school history teacher, have participated in many book clubs. Both are avid readers and cooks. Seeking to combine their passion for books, food, and book clubs, they met over stacks of books and endless cups of coffee at a local sandwich shop, where The Book Club Cookbook was born. 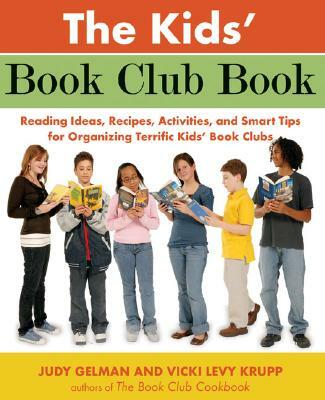 They are thrilled to now be spreading the joy of book clubs among children with The Kids’ Book Club Book. They both live with their families in the Boston area. Vicki Levy Krupp, a former high school history teacher and co-author Judy Gelman, a public relations consultant, have participated in many book clubs. Both are avid readers and cooks. Seeking to combine their passion for books, food, and book clubs, they met over stacks of books and endless cups of coffee at a local sandwich shop, where The Book Club Cookbook was born. They are thrilled to now be spreading the joy of book clubs among children with The Kids’ Book Club Book. They both live with their families in the Boston area.